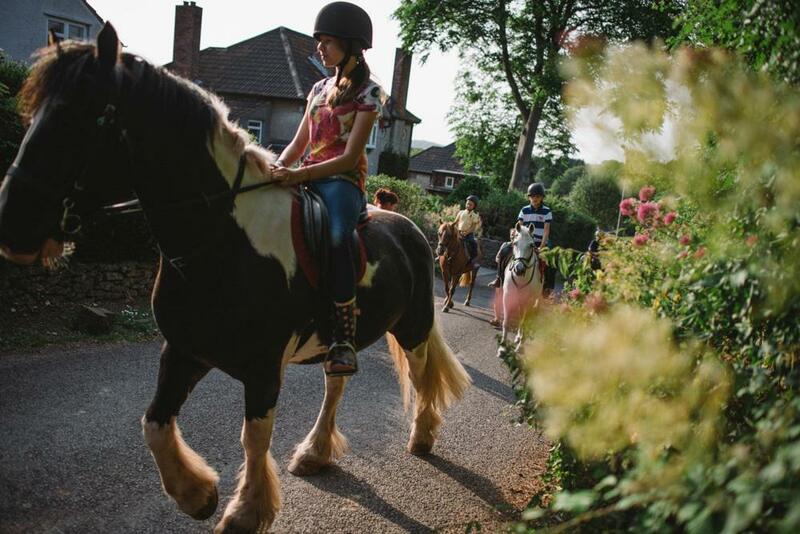 Nestled within the rolling hills of southwest England, Sidcot School offers a traditional countryside experience. 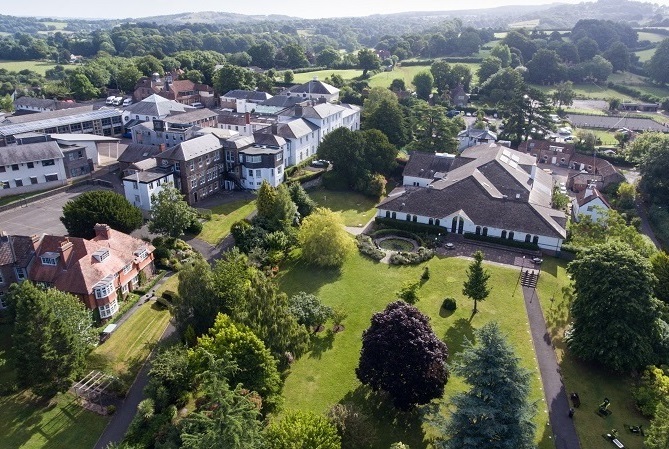 Students based at this top-performing independent boarding school will see the glory of the fields and hedgerows in full bloom at the height of the British summertime. The city centre of Bristol, with its vibrant offering of shops, dockside restaurants and theatres, is just 40 minutes’ away by car. From there, you can catch a train and reach London within an hour. Enjoy the best of both worlds in this spectacular rural school with world-class facilities. 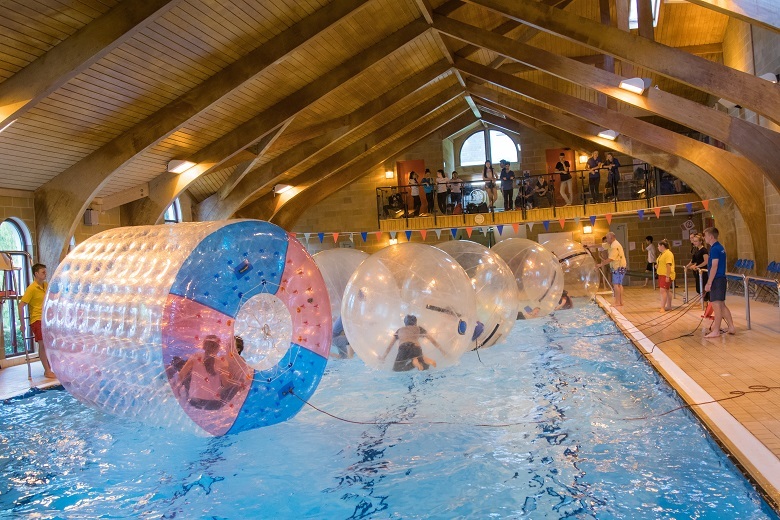 As an Academic Summer student studying at Sidcot School, you’re spoilt for choice when it comes to our line-up of fun and unusual leisure activities. A free afternoon might find you playing water polo or taking part in a round of “Octopush” (underwater hockey). There’s also an opportunity to shoot a few hoops on the basketball court or help with local community and charity projects. Have your swimmers ready for our regular pool parties and work a Game of Thrones vibe with archery and fencing workshops. Our excursions showcase the beautiful cities of Bristol, Bath and Cardiff. Weekend trips cover the rollercoasters of Thorpe Park, along with top attractions in London, Oxford, Statford-Upon-Avon and Bournemouth. 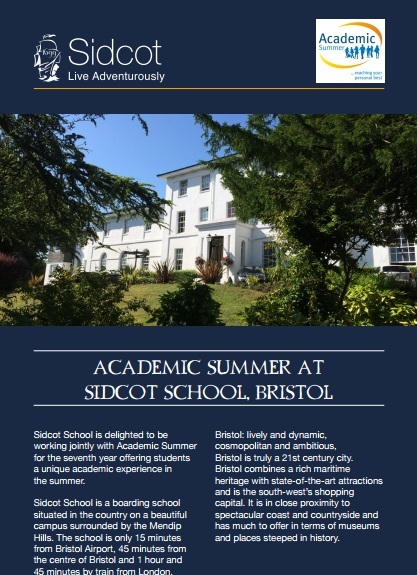 Download a leaflet for Academic Summer at Sidcot School in Bristol by clicking on the icon on the right.